Dharamsala News Flash : Dharamsala,India Miniguide,Shimla,Kullu,Manali,Chamba,Sports Tourism,Culture,Dalai Lama, Dharamsala News, Dharamshala News Himalayas ! Dharamsala News Flash: "Monsoon Pinks" at Vidya Niwas, Dharamsala...Archive 05, Journey Dharamsala..Click Graphic Above !! 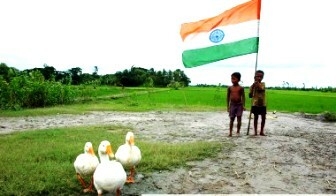 Incredible India Election, Archive 04, 2009...Click Here ! Dharamsala News Flash..Holi Colors, Archive 02, 2009...Click Here ! "I Dare to Dream, Archive 01, 2009...Click Here ! Dharamsala News : World Post Day, Himachal 2009 ! 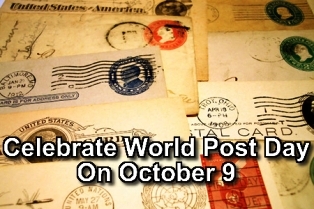 Dharamsala News :World Post Day,Himachal 2009,October 09th, 2009, News Flash, Dharamshala ! The World Post Day 2009 is being celebrated in Himachal Pradesh. Postal system is still a popular means of communication to your near and dear ones and the best way to celebrate the power of the pen. Dharamsala News Flash : BSNL 3G, Himachal 2009 ! Dharamsala News Flash :3G Services,Himachal 2009,October 08th, 2009, News Flash, Dharamshala ! The 3G Mobile and Internet services has been launched in the Himalayan state of Himachal Pradesh by BSNL. This will benefit many people in business, education, administration, health services and most of all the common people. Dharamsala News Flash : Aquatic Life, Himachal 2009 ! Dharamshala News :Dolphins India,Himachal 2009,October 06th, 2009, News Flash, Dharamshala ! In an effort to preserve aquatic life in the Holy river of Ganges, the Central Govt. 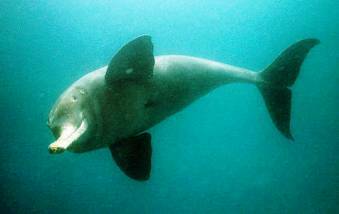 has declared the dolphin as the national aquatic animal of India. Dharamsala News :Sanitation Drive,Himachal 2009,October 06th, 2009, News Flash, Dharamshala ! Dalhousie, as part of the 'sanitation campaign', went on a cleanliness drive. 144 units of students from different parts of the state participated for this event for promoting hygiene. Dharamsala News Flash : Memoirs..Rishi Valmiki, Himachal 2009 ! 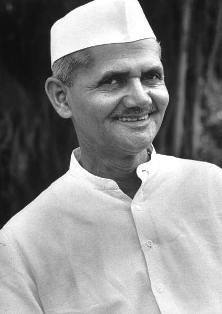 Dharamshala News :Legacy of Shastri,Himachal 2009,October 04th, 2009, News Flash, Dharamshala ! Maharishi (the great sage) claims the distinction of being the author of the holy epic 'Ramayana', consisting of 24,000 verses. He is also believed to be the author of Yoga Vasistha, a text that elaborates on a range of philosophical issues. 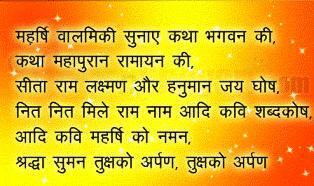 Written approximately 500 years ago, it was taught to Lord Rama when He lost all the hopes in life. Maharishi Valmiki was born as Ratnakara to sage Prachetasa. At a very young age, Ratnakara went into the forest and got lost. A hunter, who was passing by, saw Ratnakara and took him under his own care. As his family grew larger, Ratnakara found it next to impossible to feed them. As a result, he took to robbery and began looting people passing from one village to another. The Great Sage, Narada taught him the sacred name of 'Rama' and asked him to sit in meditation, chanting the name of Rama, till the time Narada came back. Ratnakara followed the instructions and kept sitting in a meditative posture for years, during which his body got completely covered by an anthill. 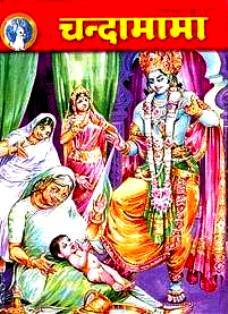 At last, Narada came to see him and removed all the anthills from his body. Then, he told Ratnakara that his tapasya (meditation) paid off and the God was pleased with him. Ratnakara was bestowed with the honor of a Brahmarshi and given the name of Valmiki, since he was reborn from the Valmika (the ant-hill). 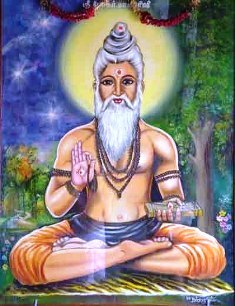 Sage Valmiki founded his ashram at the banks of River Ganga. Dharamsala News Flash : Memoirs Shri Lal Bahadur Shastri, Himachal 2009 ! Dharamsala :Legacy of Shastri,Himachal 2009,October 02nd, 2009, News Flash, Dharamshala !
" There comes a time in the life of every nation when it stands at the cross-roads of history and must choose which way to go. But for us there need be no difficulty or hesitation, no looking to right or left. Our way is straight and clear – the building up of a socialist democracy at home with freedom and prosperity for all, and the maintenance of world peace and friendship with all nations !" 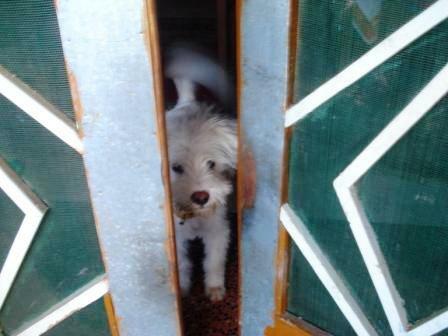 Dharamsala News Flash : " Every HOME has its own story to tell..Bobo, Himachal 2009 ! Dharamsala News :Home Story,Himachal 2009,October 01st, 2009, News Flash, Dharamshala ! The state of Himachal enjoys World Tourism..the best of Indian Hospitality by the Govt. promoting the 'Home Stay' schemes along with other Tourism schemes, even a Himalayan Cycle Rally' was organised for this day. Dharamsala News :Kullu Dussehra Festival,Himachal 2009,October 01st, 2009, News Flash, Dharamshala ! The International famed Kullu Dussehra Festival started with great fun and fare, where more than 200 Gods and Goddesses come together in the Kullu Valley to pay homage to Lord Raghunath's chariot. The new harvest brings in Peace and Prosperity to the local people of the Valley. Dharamsala News Flash : Vegetables Himachal 2009 ! Dharamsala :Subzi Mandi,Himachal 2009,September 25th, 2009, News Flash, Dharamshala ! Ahead of the inauguration of the Doodh Ganga scheme (Mandi(, the CM of Himachal, Prof. PK Dhumal opened new Govt. medical units in Palampur along with the 'Subzi Mandi' (Vegetable Market). 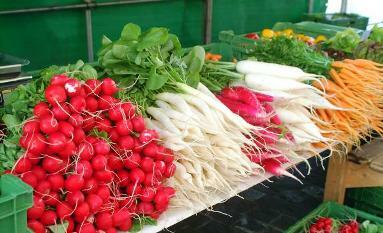 Subzi Mandi conveniently located will be selling fresh local vegetables of the hill farmers. The foundation stone for the private academic institute ' Sai Institute' was also laid. Dharamsala News Flash : Judo Himachal 2009 ! Dharamsala News :Global Talk, 2009,September 23rd, 2009, News Flash, Dharamshala ! Global Leaders from 100 countries met in New York, to share opinion on harnessing 'Global Warming' and Climate Change. Dharamshala News :Sports News, 2009,September 23rd, 2009, News Flash, Dharamshala ! The National Tournament was held in Hyderabad for the specially challenged children. Many children showed their skill and courage in all the sports events. 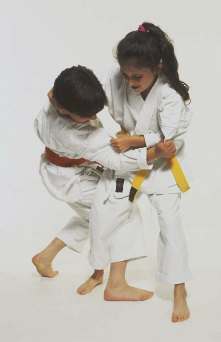 The Himachal State Judo Championship was held in Una district. DAV School was judged the winner with many other schools also participating and excelling in this health and fitness competition. Dharamsala News Flash : Tiger Lily Trek 2009 ! Dharamshala : Adventure Dalhousie 2009,September 22nd, 2009, News Flash, Dharamshala ! Children, the great outdoors and adventure camps ! An integral part of any childhood, Sacred Heart School, Dalhousie (HP), has organised an 'adventure camp', bringing the children closer to understanding the lessons of Mother Nature. Nature studies, fun mountain treks and camping are the highlight of this story book experience. Dharamsala News Flash : Eid-ul-Fitr Prayers at Jama Masjid 2009 ! Dharamsala India News :EID Mubarak 2009,September 21st, 2009, News Flash, Dharamshala ! 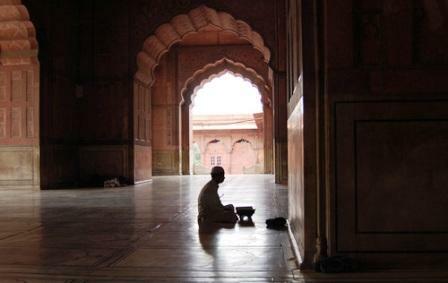 EID-UL-FITR 2009 is celebrated all over India by the Muslim Community. Feasting, prayers and family gathering are the vibrant colors in India. We wish all our Muslim brothers and sisters happiness, peace and prosperity on this holy day. Dharamsala News : Katra Festival 2009, Jammu ! Dharamsala News:Katra Fetsival 2009,September 19th , 2009, News Flash, Dharamshala ! 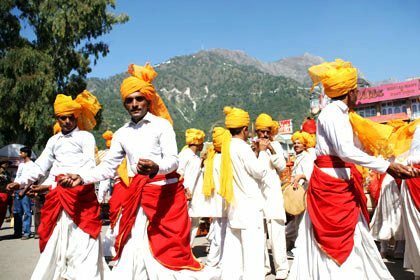 The nine day famous Katra Festival has started at the base-camp of the famous Shakti shrine of Mata Vaishno Devi in Katra (Jammu), with great fanfare of folk dances and local hill music. Millions of devotees all over the country visit this shrine for her divine blessings. Dharamsala News :Vet Talk 2009,September 20th, 2009, News Flash, Dharamshala ! The veterinary & animal sciences college in Palampur, hosted the summit on Animal Diseases and Zoonoses. New diseases have emerged due to climate change. Food security and better medical care for livestock were the main agenda. Dharamsala News Flash : Navratra 2009, Himachal ! Dharamsala News :Durga Puja 2009,September 19th , 2009, News Flash, Dharamshala ! 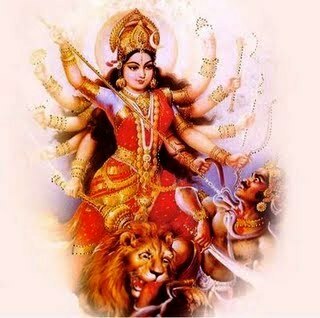 With the start of the Navratra, the 'Durga Mata' Puja is being celebrated all over India. The Kangra Valley, home to the five Shakti Peeths (Energy Zones)- Chamunda Mata, Brajeshwari Mata, Mata Jawalamukhi, Chintpurni Mata and Naina Devi Mata, will be alive with mantras, holy baths and festivity. Dharamshala News :BSNL Himachal 2009,September 19th , 2009, News Flash, Dharamshala ! The BSNL network in Himachal has achieved a new milestone by the mobile industry, crossing over 10 lakhs subscribers in the first five months of 2009. Dharamsala News Flash : Hindi National Language 2009, Himachal ! Dharamsala News Flash :Promote Hindi,September 17th , 2009, News Flash, Dharamshala ! Presiding over the State level 'Raj Bhasha' prize distribution function in Shimla (HP), CM Prof PK Dhumal stressed on the need to promote National Language Hindi on International and Domestic platforms. As it is spoken by many, it helps in integrating the entire Nation more and its utility can make it more popular in official and literature works. Dharamsala News Flash : Using Plastic Waste,September 17th , 2009, News Flash, Dharamshala ! The Himachal Govt. has initiated the usage of cost effective plastic waste for road surfacing. Other than reducing the cost of tarring, recycling, this effort will also ensure a more lasting rural road maintenance with the advise of experts. Dharamsala News : His Holiness, The Dalai Lama 2009, Himachal ! 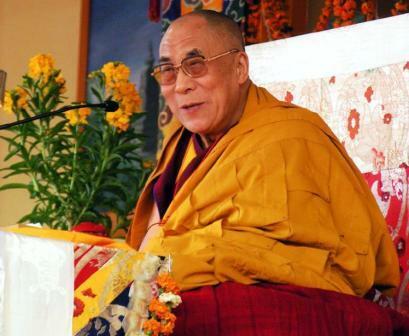 Dharamsala News :Teachings of Dalai Lama , Dharamsala,September 16th , 2009, News Flash, Dharamshala ! His Holiness the Dalai Lama is currently imparting the sacred teachings in Dharamsala in his temple. Thousands of Tibetans and International followers have gathered here to attend this three day teachings. Dharamsala News Flash : Week End High..Enjoy your Animals 2009, Himachal ! Dharamshala News : Animal Warmth, Dharamsala,September 14th , 2009, News Flash, Dharamshala ! We just had a new addition in the family, with little 'Bobo' somehow managing to get himself adopted on a rainy day. We still do not know how he managed to get himself in..Our friend who was there to help us could not believe it happened so quickly. We decided to go over the Dhauladhar National Conservation Park in keeping a date with the animals there. It was fun to see them, the birds, the owl and the monal were a rare delight..from the deer to the proud sambhars there were many moments of joy. The baby deer was shy, but still wanting food. It was a day-out for the family and friends and we hope we do it again with our animal friends! 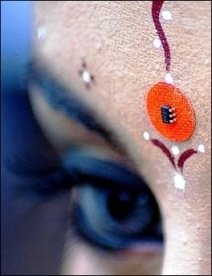 Dharamsala News : International Folk Dance 2009, Himachal ! Dharamsala News : International Folk Dance Competition,September 09th , 2009, News Flash, Dharamshala ! The International Women Folk Dance Competition will be held from 12-16th September in Shimla , the summer capital of Himachal Pradesh. 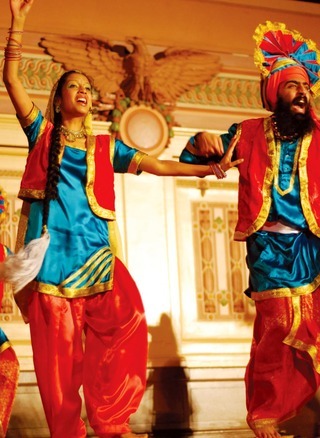 Aroung 1,500 artists from allover the world will be participating in this great extravaganza in the Himalayan state. Dharamsala News Flash : Business Quiz 2009, Himachal ! Dharamsala News Flash : Himachal BIZ Quiz,September 08th , 2009, News Flash, Dharamshala ! The fifth Inter-School Kirloskar Business Quiz was held in Sanawar School, Himachal. Ten prestigious schools from across the country participated in this quiz event with many brainstorming sessions for the young minds. Dharamsala News Flash : Tibetan Music Award 2009, Himachal ! Dharamsala News : Himachal Organic Farming,September 06th , 2009, News Flash, Dharamshala ! The state of Himachal Pradesh will soon be promoting its own brand of organic products. In the second Agricultural Leadership summit, the CM , Prof. PK Dhumal reinstated active participation in 'organic farming' along with other environmental schemes, like river conservation and 'van sanjivini'. Dharamsala News : Intl Tibetan Music Award,September 06th , 2009, News Flash, Dharamshala ! The 04th Intl. 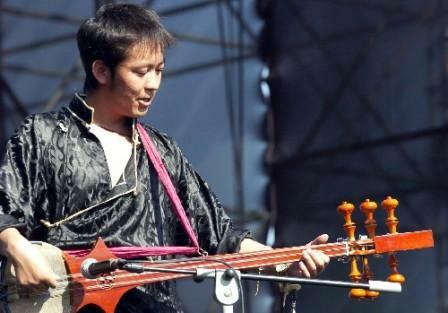 Tibetan Music Award will be organised in December this year. The online voting for this prestigious awards to artists will start from 10th Sep-20th Sep, 2009. A good step for promoting the Himalayan melodies from ancient and present times. 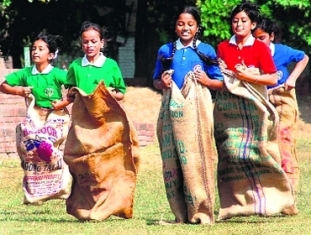 Dharamsala News Flash : Himalayan Girls Sports 2009, Himachal ! Dharamsala India News : Himachal Sports, September 03rd , 2009, News Flash, Dharamshala ! Shri. KK Kapoor, the HP Trade Minister inaugurated the Under Nighteen Girl's Sports Tournament in Kangra. The Tournament will be promoting physical fitness and sports activities in all Public schools in Himachal. Dharamsala News Flash : Remebering YSR Reddy, September 03rd , 2009, News Flash, Dharamshala ! Our deep sympathy to the family, political fraternity and the people of Andhra Pradesh for the unfortunate demise of the Chief Minister, Shri. YSR Reddy. We wish his soul, rest in peace and hope his work will continue to benefit the people of this beautiful state. 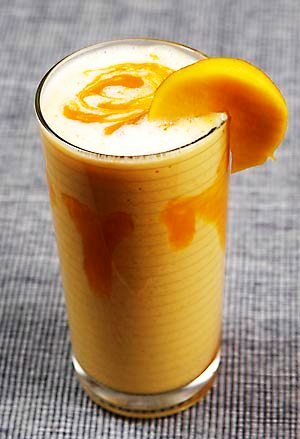 Dharamsala News Flash : Himalayan 'Lassi' 2009, Himachal ! Dharamsala News Flash : Himachal Milk Drinks, September 01st , 2009, News Flash, Dharamshala ! 'Lassi' the famous milk yoghurt health drink of India will now be produced and marketed all over India by famous Corporate houses. The Himachal Milk Federation is proposing to manufacture milk products for utilisation of surplus milk and better rural economy in the hill state. Dharamsala News Flash : Passions 2009, Himachal ! Dharamsala News : Himachal Passions, August 30th, 2009, News Flash, Dharamshala ! When in the Himalayas, dress as the Him folks do ! Dressing up is one of the passions of Young India. Ornamentation, tribal and native dresses, vanity walks, fun and frolic highlight the mood of the people and reflect the culture of the place. 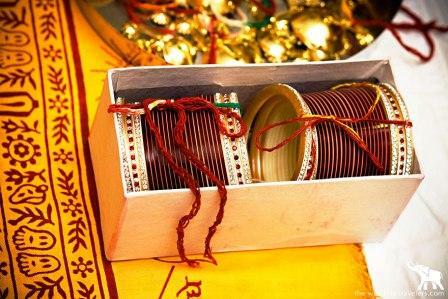 Whether in our dance forms, music, cinema and festivals, vibrant textile wear and vanity display, mirror the integral traditions of India in all their vivacious moods. For more on India Heritage and 'Passions of India'...Click the Graphic Below ! 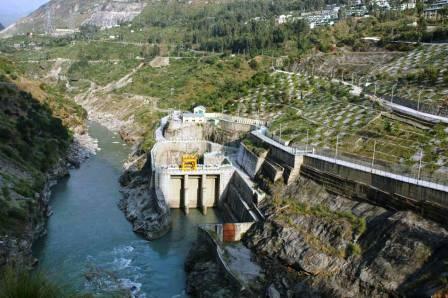 Dharamshala News : Himachal Hydropower 2009, 2009 ! Dharamsala News : Himachal Hydropower Award 2009, Himachal, August 27th, 2009, News Flash, Dharamshala ! The hydropwer expert, Shri. Vijay Chopra has been awarded the Rajiv Gandhi Shromani Award, for his outstanding achievement and services in the field of Hydro Power Development in the Himalayan state. Dharamsala News Flash : Himachal Herbal Bowl 2009, 2009 ! Dharamsala News Flash : Himachal Herbal Bowl 2009, Himachal, August 25th, 2009, News Flash, Dharamshala ! 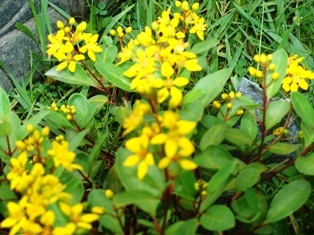 The Himalayan state of Himachal Pradesh, is rich in its flora of 3,500 species of medicinal and herbal plants. In its scheme of 'Sanjha Van- Sanjivini Van', the HP Govt. with the Himalayan folks, are preserving and developing the state's affluent green heritage. 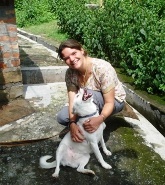 Dharamsala News : Equine Animal Care 2009, Chamba 2009 ! Dharamshala News : Equine Animal Care 2009, Himachal, August 22nd, 2009, News Flash, Dharamshala ! Unique Equine treatment camp for horses and ponies was held at Chamba for five days. The animals were treated for fractures and colic. Being an essential part of the daily life of many in these regions, this facilitated the horses and mules carrying luggage for the pilgrims visiting the holy Manimahesh shrine. 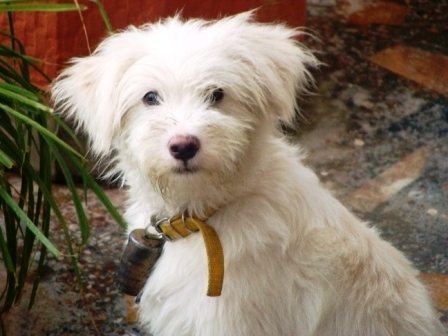 An animal care center has been opened in Dharamsala (HP) at TCV where International Vets will be sponsoring treatment for the strays and the pets. Dharamsala News Flash : Manimahesh Yatra 2009, Chamba 2009 ! Dharamshala : Holy Manimahesh Yatra 2009, Himachal, August 19th, 2009, News Flash, Dharamshala ! The famous 'Manimahesh Yatra' which started on 13th August, 2009 saw millions of devotees visiting the holy Lord Shiva-Parvati shrine. Holy dips and mantras echoed in this sacred valley, along with other touristic delights ! Dharamsala News : Red Nectar Sunset at Vidya Niwas, Dharamsala 2009 ! Dharamsala India News : Remembering Ash Blonde Spring 2009, Himachal, August 16th, 2009, News Flash, Dharamshala ! 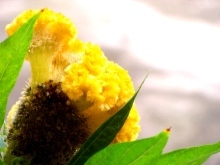 Canary yellow sunrise..and the rush of ash blonde spring flowers, vivid in our mind often mark, a wet rainy, monsoon afternoon. 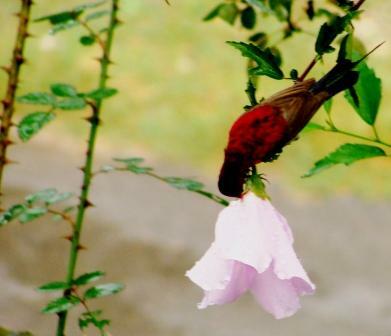 While monsoon flavours of Dharamsala always have their own memoirs, it is also the time, to sip hot 'masala chai' with mountain tales and remember the spring guests, bursting sunflower, mustard flora and the early chirping of our cheerful feathered Himalayan friends,... time for us to wake up and take a lesson on bird-watching ! Dharamsala News Flash.."Happy Independence Day", 2009 ! Dharamsala News Flash : Indepedence Day 2009, Himachal, August 15th, 2009, News Flash, Dharamshala ! India celebrates its 62nd Independence Day with the Prime Minister, Shri. Manmohan Singh unfurling the tri-color flag. In his speech to the Nation he emphasized the need for Unity, Peace and Growth. 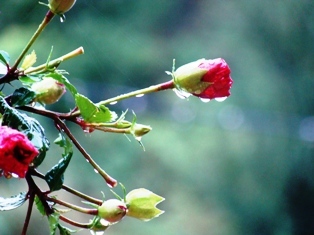 For more on Capturing the Monsoon Flavours in India (Vidya Niwas)..Click the Graphic below !! Dharamsala News Flash..Vidya Niwas..Monsoon Guest, 2009! Dharamshala News : Monsoon White 2009, Himachal, August 12th, 2009, News Flash, Dharamshala ! Who imagined a 'white monsoon' at Vidya Niwas, Dharamsala (HP). The home guests rose every morning to the aroma of the white jasmine and dozed off with the good nite smell of the Night Queen. The morning passed with the wake-up call, of the 'Bul- Buls and the day with 'rajnigandhas', white bougainvillas, 'Indra Kamal', Chameli and Champak flowers, all showering their deodarant...a truelly White Monsoon delight for our guests..GOING GREEN ! Dharamsala News..HH Dalai Lama..A Visit to Ladakh, 2009! 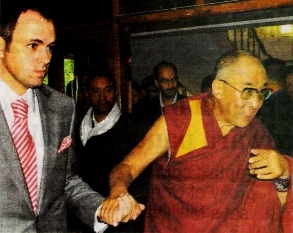 Dharamsala News : Dalai Lama, Shri.Omar Abdullah 2009, Himachal, August 11th, 2009, News Flash, Dharamshala ! A Peace visit by His Holiness the Dalai Lama to the capital town of Ladakh in Leh was welcomed by CM of Jammu & Kashmir, Shri. 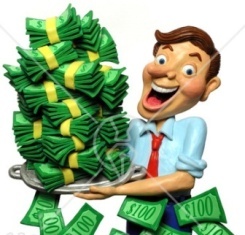 Omar Abdullah. A twenty day trip to this beautiful valley was highlighted by traditional and religious buddhist ceremonial music along the Peace Garden, Choglamsar. In a bid to promote tourism a food and craft institute was inaugurated. 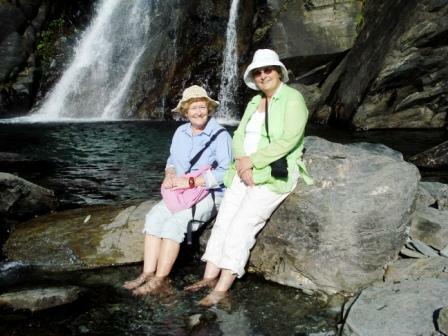 Dharamshala News : Grey Pearls..a discovery 2009, Himachal, August 10th, 2009, News Flash, Dharamshala ! A valuable treasure of rare 'grey pearls' was found on the banks of the famous wetland, Pong Lake, near Dharamsala. The Pong Dam is host to thousands of migratory birds which is an exciting bird watching venue for bird lovers all over the world. Dharamsala News..National Institute of Fashion Technology, 2009! Dharamsala India News : NIFT opens in Kangra 2009, Himachal, August 07th, 2009, News Flash, Dharamshala ! The Union Textile Minister, Shri D Maran and CM of Himachal Pradesh addressed the first batch of the newly opened NIFT in Kangra Valley in Himachal Pradesh. This brings in an era of creativity and talent to the young Himachal and contribute to the Global designs and economy. Dharamsala News : Best Tourism Sate 2009, Himachal, August 06th, 2009, News Flash, Dharamshala ! Union Tourism Minister, Smt. 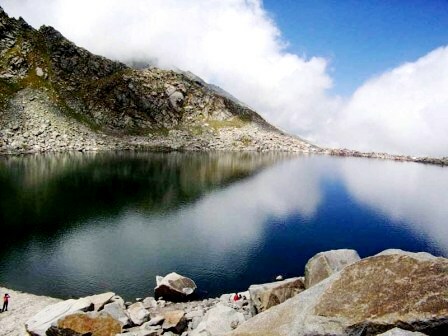 Kumari Shelja awarded Himachal Pradesh the best Tourism State in India. 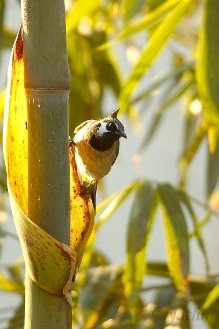 An honour to this small Himalayan state for its effort in Green Tourism and Hospitality.